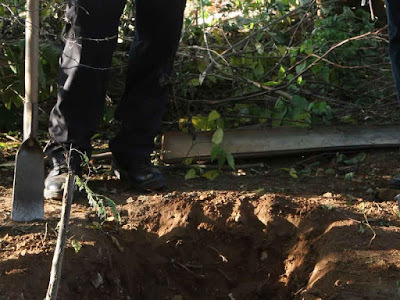 This Thursday at least six bodies were found , presumably of five men and one woman, in a narcofinca located in the Villa Fontana Aqua colony , in the municipality of Tlajomulco de Zúñiga, Jalisco, although there could be seven, the Jalisco attorney general confirmed in an interview. , Raúl Sánchez Jiménez. 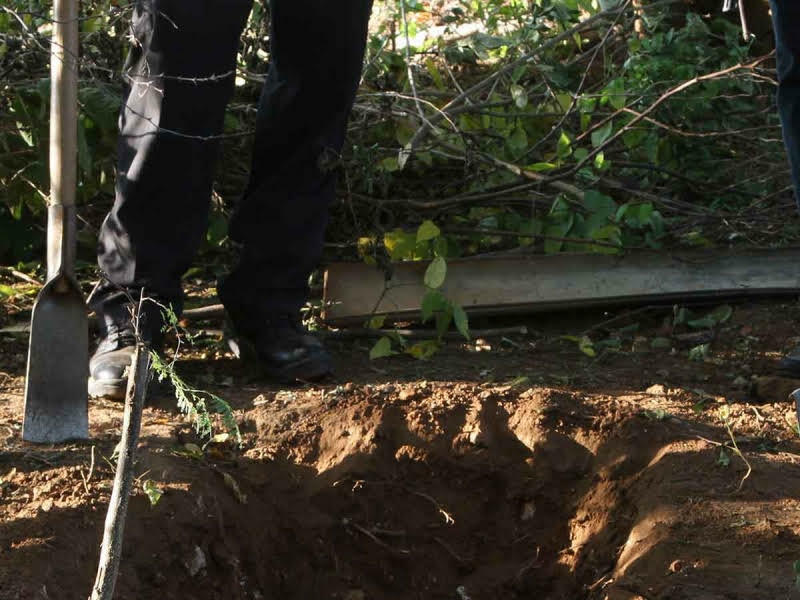 Hours later, two more clandestine graves were located in the La Noria and La Mezquitera neighborhoods, in the municipality of Tlaquepaque. At the close of this edition there was talk of eight bodies. It is estimated that the corpses have been buried clandestinely for more than a week. In the first case, the prosecutor explained that "(the bodies) apparently are five men and one woman. There are remains that are not certain if they are six or seven by how they were getting the parts of the bodies. They already have time (cadaverous evolution) ... We continue with the investigation with the Jalisco Institute of Forensic Sciences for the location and identification of each of the corpses that were found there and see their legal situation, how long they have died and buried , according to expert examinations ". So far the research portfolio is still open, because it is not ruled out that this narcofosa has links with four bodies found in March in other Colonias of the same municipality. These are investigations that we continue to carry out, intelligence investigations to counteract and combat crime, "the state official added. 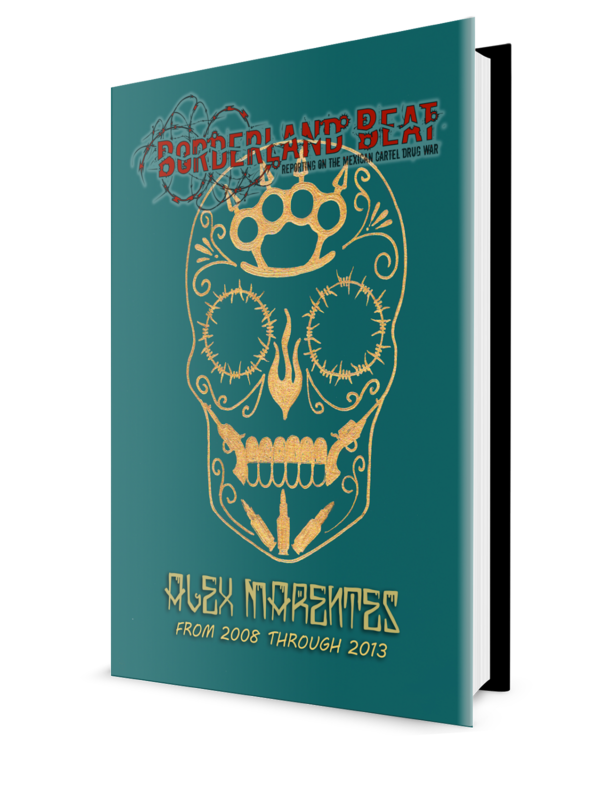 In the last six years, 243 bodies of 152 clandestine graves have been exhumed in Jalisco. The prosecutor also mentioned that the search continues for other missing persons, such as the daughter of the head of the Jalisco Institute of Forensic Sciences, Luis Octavio Cotero Bernal, and his companion, and the student of the University of Guadalajara in Autlán de Navarro, among other cases. A week ago a complaint was filed by the Attorney General of Jalisco for the disappearance of Índira Cotero Ortiz, a lawyer, who works in the Legal Department of the Commissariat of Tlajomulco de Zúñiga. 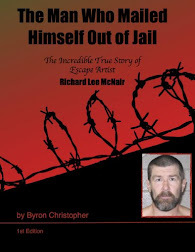 He was going to show a land to a client and never returned. Is mencho an animal like z40 or is he not on that level yet??? La constitucion de Mexico hace a Mexico un estado/pais neutral de guerras contra paises extranjeros. No hace falta pinche peleas contra otros paises para que Mexicanos desmadrosos se maten solos de todas maneras! Y desmadrosos ay muchos! Que pinche lastima y o verguensa. Todo aquel que trate de justificar la violencia que se vive en Mexico diciendo que tambien ay violencia en otros paises o cosas similares solo esta aceptando e indirectamente contribuyendo a esto. Institute of Jalisco...the murderers may have been trying to see if he would reoort on his daughter's murder/ disappearance, "such reports damage local economy". What the US has to do with this i dont know? Making a comparative analogy does not make the US "guilty of this woman's disappearance", I was just saying it happens on the US too, nobody should be showing homes to unknown people all by themselves anywhere in the world. --Take your chill pill and put on your chiquiadores. I am a very old man know Mexico well. U have to understand mexicans do not take Responsibility for their actions. They always blame on the U.S.. I always tell my Mexican friends its my fault. Yes just look at the USA, invading and plundering other countries. @9:32, very broad and cliche comment. If we went back the bartering (you know, I'll give you 4 chickens for a flu shot) I guess all of this would go away, but it wouldnt. Certain of the strongest have and will always seek to control as much as possible by any means neccrssary. Money is not the problem. A society willing to let those people do what want is. Boo hoo! Its in our nature. Survival of the fittest. Right now the USA is the big chorizo... so get with it! @9:32 is that what happened to you? All that narco money you and your family make? Scumbag. See this guy says its U.S. fault. Who would they blame if we were gone. Ja ja. And even safer before chapo controlled it. Ok troll? 3:37 Mexico was safer before the start of Operation 40 that started to prevent communist take over of Mexico and degenerated into fabrication of communists to show work and into drug trafficking that makes more money and is quicker at hiring drug trafficking than communist cadres. El Sr Mencho is killing off El Cholo's (20) people in Jalisco. CJNG has some of the most elite tactical special forces and black ops assasins trainied by Marine Recone units Seal Team 6 and German GS9 commandos .These mercs even trained at "The Farm" in Langely Virginia .Those guys are like 50% Rambo and 50% James Bond.Very bad Hombres ready to die for CJNG! dammm that is badasss cjng aint messing around. Nope they are a bunch of malnourished kids, taking orders from Lts Nothing like Rambo. Very sad... hope the killers suffer a painful death. Your wishing of a painful death is no different than wishing torture upon humanity. It's that very mindset that fuels the problem. Next time you should just simply say something positive. Nooo no Los maten esa es la salida mas facil y como dejarlos ir sin antes hacerlos pagar por sus fechorias. Mejor extraditenlos a verdaderas pintas del gabacho. this a travel warning. all you Mexico travelers pay attention to this. dont wait for USA govt to tell you . This has killed our tourtism. God Bless Mexico. We could sure use Your help. all i can do is observe. im sorry for the tourism situation.